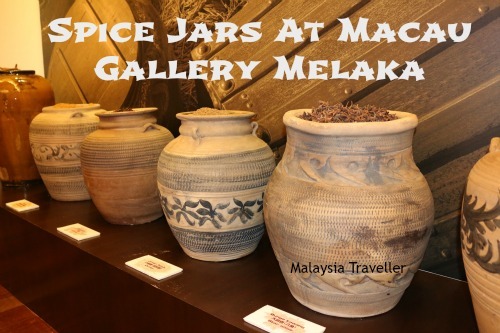 Macau Gallery Melaka (also spelt as Macao Gallery Melaka) is a showcase for promoting Macau as a tourist destination. 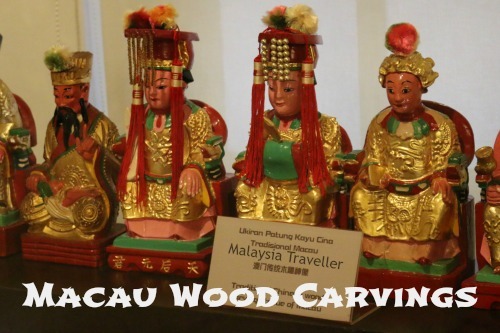 You might ask why there is a museum about Macau in Melaka? 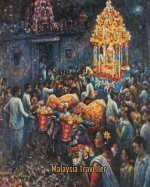 It is because both Macau and Malacca were once Portuguese colonies and they share common historical connections and both cities have mixed race communities with Portuguese ancestry. 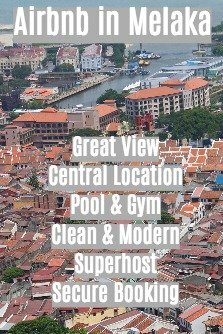 Also, the historic centre of Macau, like Melaka’s core area, is a UNESCO World Heritage Site and both cities have made great progress in preserving and restoring their historic landmarks. 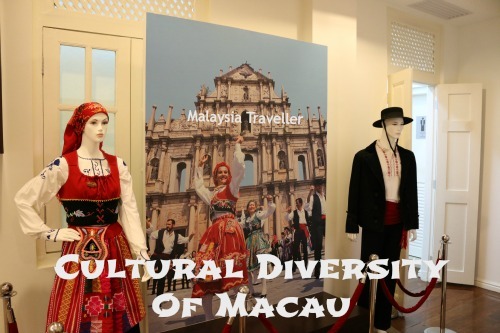 The contents and operation of the gallery are financed by the Macau Government Tourism Office while the Melaka Government pays for the upkeep of the building exterior and grounds. The gallery is housed in a lovely old British colonial-era bungalow which has been enhanced by the addition of shiny red pillars and a Macau-style mosaic stone floor in front of the entrance. The gallery covers two floors. On the ground floor are two exhibition rooms - the Macau World Heritage Room which highlights historic buildings, architecture and places of interest, and the Macau Events & Festival room celebrating Macau’s events such as the Grand Prix and cultural festivals. 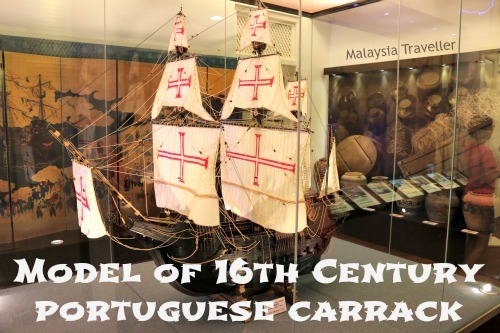 Upstairs is the Macau Maritime Room with models of Portuguese carracks and Chinese junks and information relating to Portugal’s trade with China and the Far East. Another room, Macau Origin & Culture, relates how European and Chinese cultures fused to create the unique Macanese culture. There is also a small library and a multifunction room which was hosting a talk on Malaysia and Singapore’s Peranakan communities during my visit. 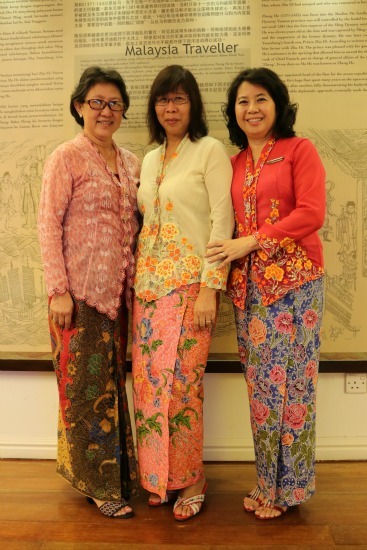 The friendly Gallery Director, Esther Tan (right) and friends modelling their beautiful, traditional Peranakan nonya kebayas. Back on the Ground Floor, The Esplanade Area is a place to enjoy a cup of tea or coffee and admire views of the manicured lawns of the neighbouring bungalows on Bukit Peringgit. If you are planning a visit to Macau or simply want to learn more about its arts, heritage and culture, the Macau Gallery is a good place to visit. It also gives you an opportunity to look inside one of these grand colonial black and white bungalows which are becoming rare in Malaysia these days. 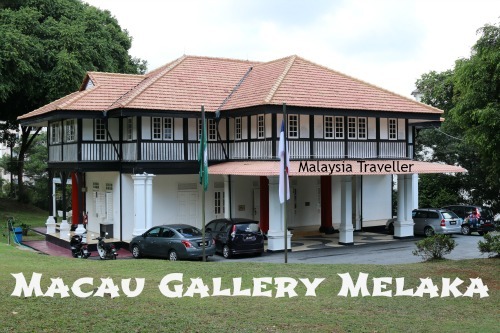 While you are here you should take a look at the Melaka Gallery and the Melaka Chief Ministers Gallery which are located next door to the Macau Gallery. Galeri Tun Abdul Ghafar Baba is also nearby.